iCloud is free storage space that is offered to all Apple users. Unfortunately, space is not unlimited. Yes, you can always buy more storage space from Apple, but most people simply prefer to erase unneeded data when they need more space. But storage space isn’t the only reason that someone may opt to clear data from the Cloud. The “Cloud” is the internet. And as we know, even the most secure things on the internet risk leakage. iCloud data is no exception. 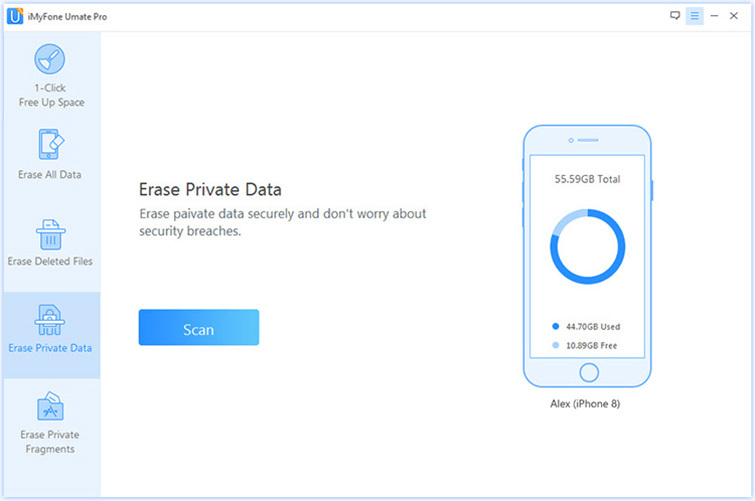 So if any of your personal, private, or confidential information has been stored in the Cloud, you should delete erase iCloud data right away. Today we will discuss how. Part 3: Is Your Information on iCloud Really Safe? Some of us prefer to clear iCloud data on a computer. If this sounds like you, you may be doing so from a) a Mac or b) a windows computer. Today we will show you how to do it on both. Step 1: Click on the apple icon in the top left hand corner of your Mac screen. 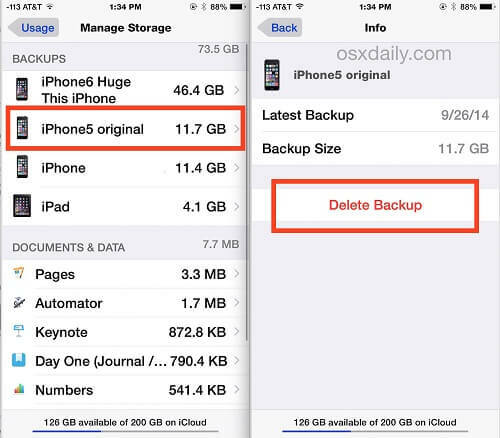 Step 7: Choose the backup you want to delete. Step 9: When a pop-up appears, click delete again Repeat this process for as many backups as you would like to delete. Step 5: Confirm your choice. 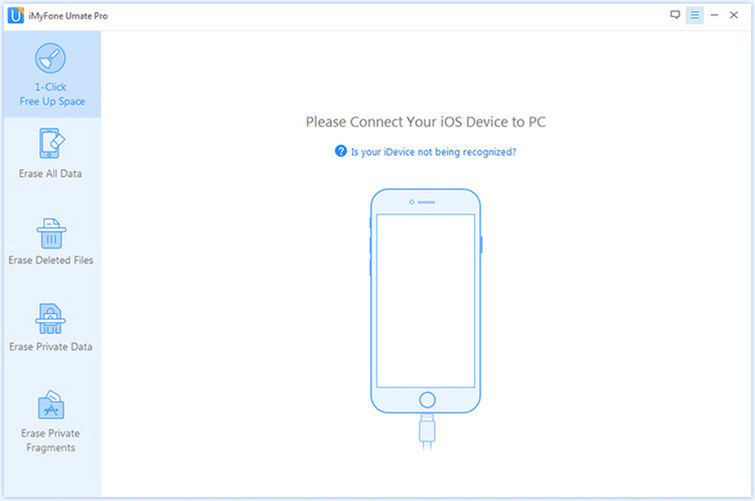 Please not that in order to clear iCloud data on a windows computer, you will first need to download the iCloud app. You can do so on the Apple website. In fact, there is no application or website on the internet that can make this claim. Why? The sad truth is that if you are connected via internet, there is always the possibility of leaked data - no matter how secure you are. Hackers are good at what they do, which is why even the world’s most secure companies are at risk. So is iCloud secure? Definitely. Is it 100% secure? Definitely not! All it takes is one good hacker to obtain access to all of your personal information, files, and data. Our suggestion? Don’t save your personal or private information with iCloud. As a general rule of thumb, if it is something you do not want others to see, it should not be in the Cloud. So what can you do to ensure your privacy? 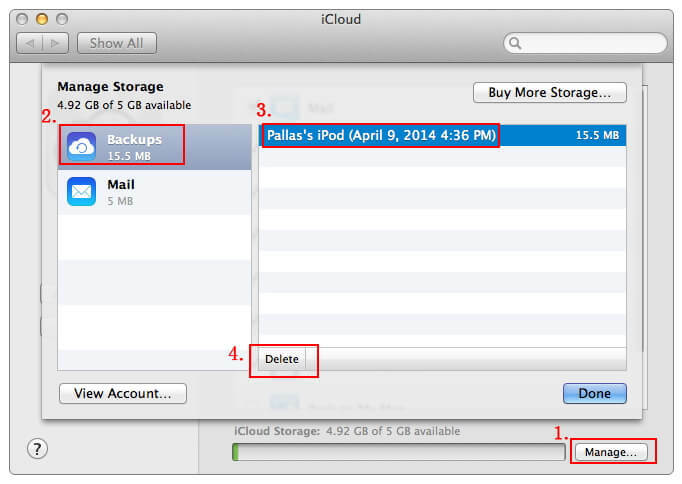 Erase iCloud data first and store the data on iPhone. 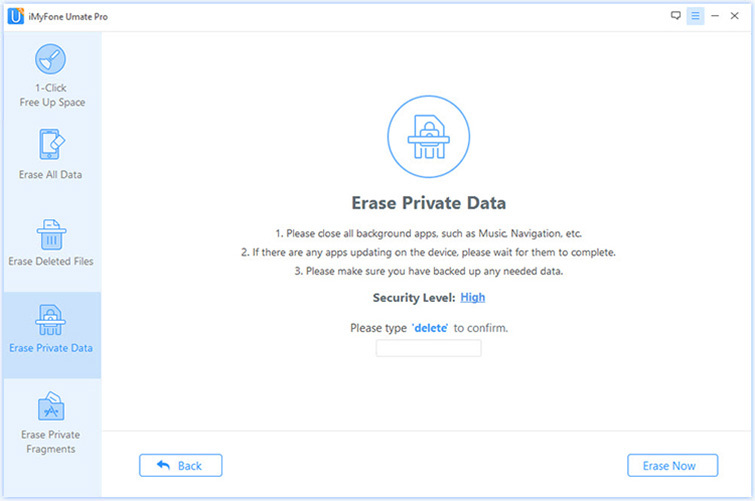 Erase private data permanently by getting help with iMyFone Umate Pro for Windows or iMyFone Umate Pro for Mac . 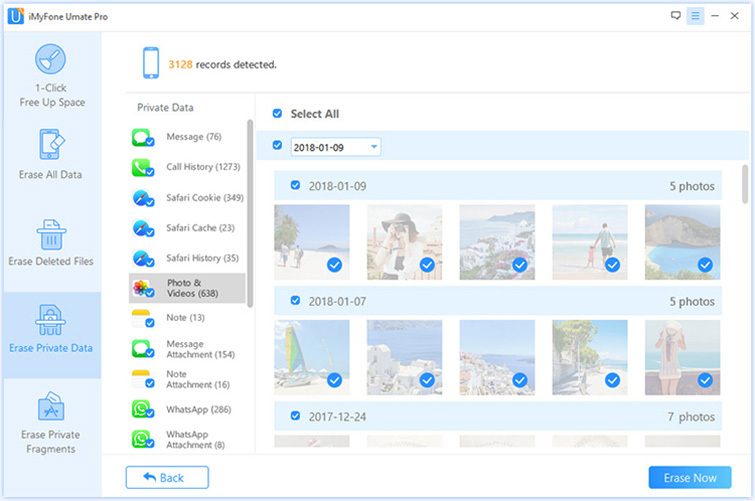 With iMyFone Umate Pro, you can permanently delete all of your unwanted or private information - no more worrying if it can be reaccessed with the right software! 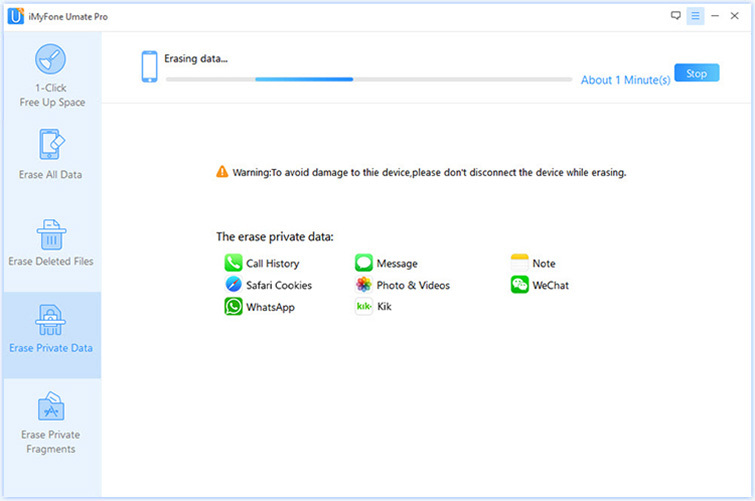 protect your sensitive data like messages, contacts, call history, photos & video, browsing data, etc. 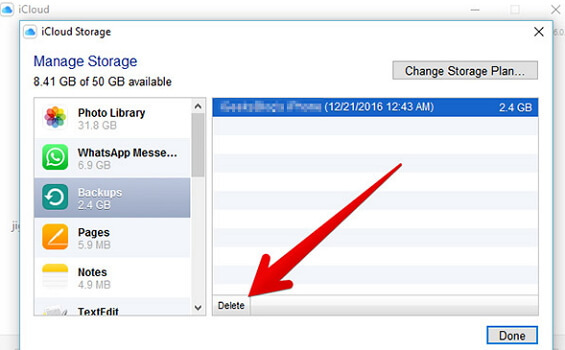 help you get more space on your iPhone by 1-Click Free Up Space. Keep in mind, that once you do this, all of your selected information and data will be deleted forever. In return, it’s important to double check your selections before confirming your delete. In conclusion, unless you take the steps to permanently delete your photos, files, and data, there are other people who could always gain access to it. This is especially true if you store you information online in storage spaces like the Cloud. Erase iCloud data is not enough. Luckily, there is a way to keep your private information safe. Invest in Umate Pro today to keep your secure data out of someone else’s hands!